Farmer of the revenue of Lumbrales, Castile. On July 26, 1723, he, his wife Antonia de Cardenas, and his brother Gabriel Delgado, refusing to renounce their faith, were sentenced to imprisonment for life by the Inquisition at Llerena. 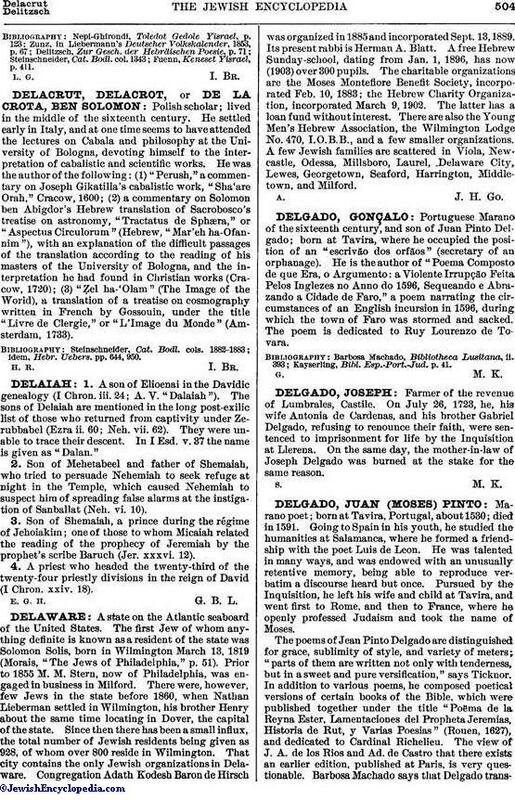 On the same day, the mother-in-law of Joseph Delgado was burned at the stake for the same reason.